Since you're sure to be hearing obituaries and tributes to big names like Robin Williams or Maya Angelou before turning the page on 2014, we wanted to tell you about some of the people who passed away you may never have heard of - people who deserve to be remembered. We begin in the world of science and medicine. As recently as the early '90s, if you were born deaf, there was a good chance your parents would have no idea until you were at least two or three years old. A diagnosis that late meant many deaf children never fully developed the ability to use language. Today, things are much different for hard-of-hearing children, thanks to the efforts of a remarkable woman named Marion Downs. Our producer Becky Sullivan has her story. BECKY SULLIVAN, BYLINE: It was actually just chance that Marion Downs even ended up as an audiologist. She had dropped out of undergrad in the 1930s to marry and have children. When the kids were old enough to spend their days at school, Downs went to the University of Denver to register for graduate school. MARION DOWNS: And it was right after World War II, and there were GIs standing in miles of lines for different departments. And I said, I'll find a short line. SULLIVAN: This is Dr. Downs herself speaking to Colorado Public Radio in 2011. DOWNS: So I found a short line that was speech pathology and audiology. SULLIVAN: That conveniently quick registration lead to a lifetime in audiology for Downs. She was particularly interested in children. Dr. Jerry Northern was her longtime colleague. JERRY NORTHERN: There's a critical period for language development that occurs between 12 and 24 months. SULLIVAN: But back then deaf or hard-of-hearing children often wouldn't get hearing aids until they were 3 or 4, if at all. Here's Dr. Christine Yoshinaga-Itano, an audiologist at the University of Colorado. CHRISTINE YOSHINAGA-ITANO: The average child that was that late-identified - they would leave our school system after 20 some-odd years of schooling with about a 3rd to 4th grade reading level, which severely limited their ability to live independently, even though the vast proportion of them had normal or above normal intelligence. NORTHERN: Last year in the United States, nearly 4 million babies were born. Ninety seven percent of these children had a hearing screening test before they were discharged and sent home with their mother. 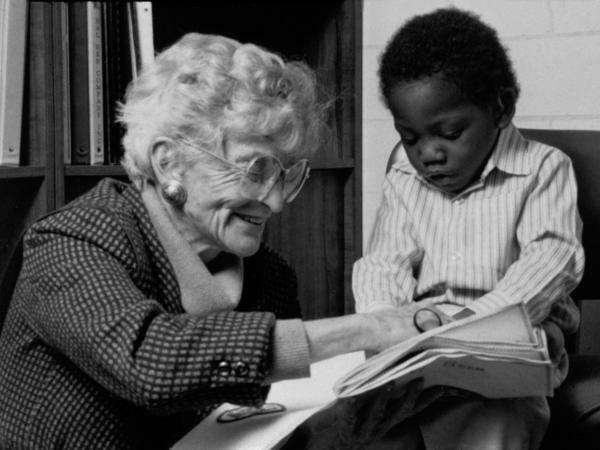 SULLIVAN: Marion Downs lived long enough not only to see the universal screening implemented, but also to watch the children she tested grow up and lead lives never thought possible when she began her career. Here's Downs one more time back in 2011. DOWNS: I got a letter just recently from a 50-year-old man who said thank you for having identified me at birth as having a hearing loss and being deaf because I've done very well. SULLIVAN: Marion Downs passed away in November. She was 100 years old. Becky Sullivan, NPR News. Transcript provided by NPR, Copyright NPR.